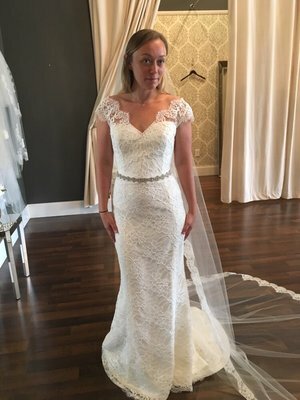 Our bridal boutique is unrivaled carrying beautiful collections of luxury gowns that will woo the most fashion discerning bride, showcasing: Vera Wang, Jenny Packham, Anna Maier and recently to round out our beautiful selection we have added stunning pieces from Lazaro, Liancarlo and Monique Lhuillier. Our premier selection of designer bridal attire ranges from $4,000 and can exceed $15,000. Our bridal shop offers an intimate shopping experience with personalized service from your very own expert bridal stylist. Call today to schedule your appointment!